When An Avid Bengali Football Fan Praises Bengaluru to ask Questions to Bagan!! “And the final whistle has blown. 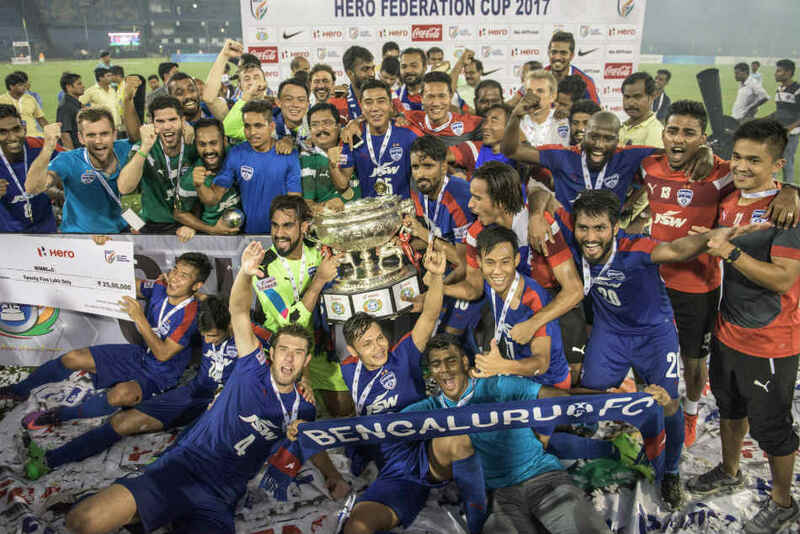 Bengaluru FC are the Champions of the inaugural Super Cup”, this blared out loud in the mic of the commentator. A gritty and an absolutely imperiously dominant display from the Blues shattered the giants from Bengal, East Bengal in the finals of the first edition of the Super Cup. However, was it just this one trophy which this new kid on the block won to shoot to glory? No. This was just another display of their professionalism. This was the culmination of their discipline over the past 4 years. Bengaluru FC are probably ushering a new way in which Indian football can actually be evolved, evolved into what an ideal model of football looks like. We will take a look at the legendary clubs like East Bengal and Mohun Bagan, teams who have defined Indian football for ages, probably, a century almost. However, now they are in their twilight and they are still oblivious to something called professionalism. Discipline prevails but it simply is another facet of professionalism. In their days of dawn, it was indeed very elusive for both the clubs to prosper as it was a British-ruled India. However, with time, these clubs honed themselves into professional ones and took the Indian football roster by storm. They endured the test of time and are still carrying on with their glorious past. I believe the answer lies in the constant mediocrity exhibited by these two age-old clubs from Bengal. For the last few years, Mohun Bagan has managed to notch up a single Federation Cup and an I-League for the first time in 15 years and East Bengal has won nothing outside Kolkata. It hurts to know that a team which went on to dictate Indian Football at one point in time, won the Asian Cup exultantly and toyed with other giants of Indian football, is in such dilapidation. Bagan did manage to put up a strong squad for the past 3 years, and the strength of the squad did fructify as well, as the team did exhibit some tremendous character and tamed hotshots from all over Asia. However, in this past season, Bagan started committing one howler after the other. 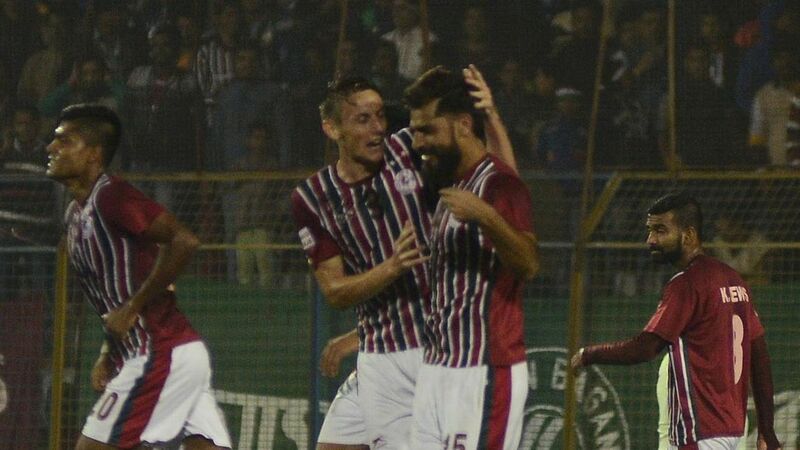 They let go of Garcia Miranda, the man who has been the best physician in India for almost 8 years now, they let go of Katsumi Yusa, the livewire of Mohun Bagan midfield. They questioned the coach who kept his bypass surgery aside only to stay with the team in their dire need, they brought in players like Ansumanah Kromah, who is probably worse than a school kid playing football, they let go of their star performers and brought in players who, given proper time will definitely kiss the zenith but currently are way out of shape. Bengaluru, on the contrary, right since their inception, put a stamp of authority on them. Their stadium is probably one of the best in India at this moment. Their academy has produced talents who are actually helping the team to build on its current potential. They did not chase big names that are passé but managed to rope in young and talented footballers who will help their cause. The upshot is quite distinctly visible. Two I-leagues, two Federation Cups, one Indian Super Cup, AFC Cup runners and runners in I-league and Federation Cup once. All of these in just four years! Imagine when they will complete their century. Probably they will be a football giant which the world will revere. In the semi-finals of Super Cup, Bagan led by a goal and a man and from there The Blues pounded in four valuable goals finally before Dicka pulled back a consolation goal to make it 4-2 for Bagan. This kind of football is only possible if your preceptor is a tactical giant. No wonder, Alber Roca rules the roost. Mohun Bagan and East Bengal will need to work their way out of this quagmire. The need of the hour for them will be a proper team. A team which will be able to parallel the likes of ISL stalwarts. A team which will run on the field for the entire 90 minutes. A team which will not lag in terms of discipline. A proper management and not only emotions. The love of the fans is an added bonus but basking in them without any proper step to hone the club’s attributes will gain these giants naught but space in the history books to arrive. If they will have to thrive, it is time, that they embrace the evolution and ride on the wave blazing a new trail.